If you haven’t heard, Canada is turning freakin’ 150 years old this year. I’m almost 1/5 of that age. Needless to say, there’s a LOT going on in Vancouver now for Canada 150 (but I’m also just really excited for the long weekend.) 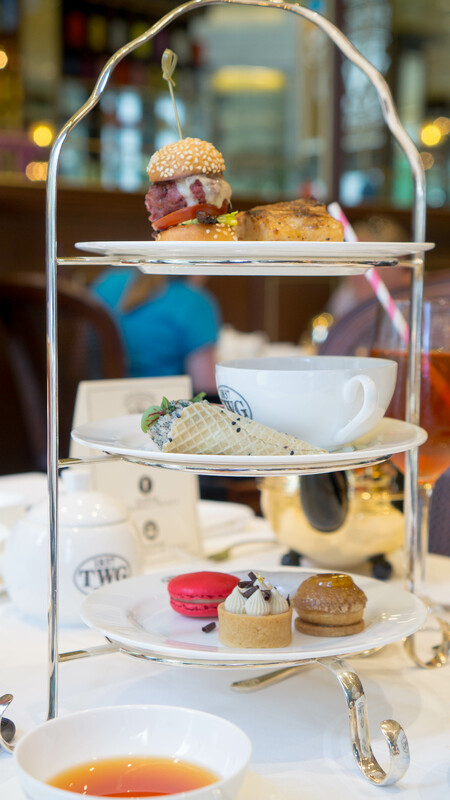 There’s also a lot of specialty items created for Canada’s 150th birthday; TWG Tea Canada is currently serving the Jubilee Tea Set and you don’t need to be Canadian to enjoy the flavours in this! 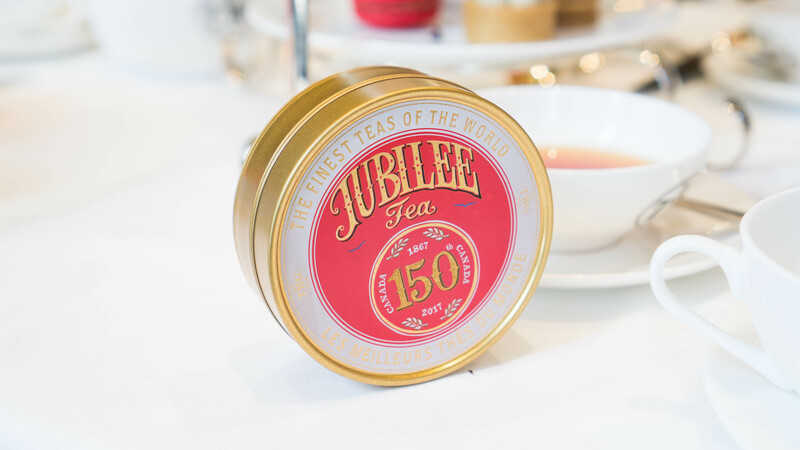 The Jubilee Tea is a limited edition tea to commemorate Canada’s 150th Jubilee Anniversary from 1867-2017. It is a rooibos tea and it has candied notes of maple syrup and a cranberry taste. The tea tastes exactly how it smells, something that doesn’t happen I find. The tea has a lot of Canadian flavour and complements the desserts very well. To start off the Jubilee Tea Set ($48 CAD), you can have the choice of an iced French Earl Grey Tea or a hot Jubilee Tea. 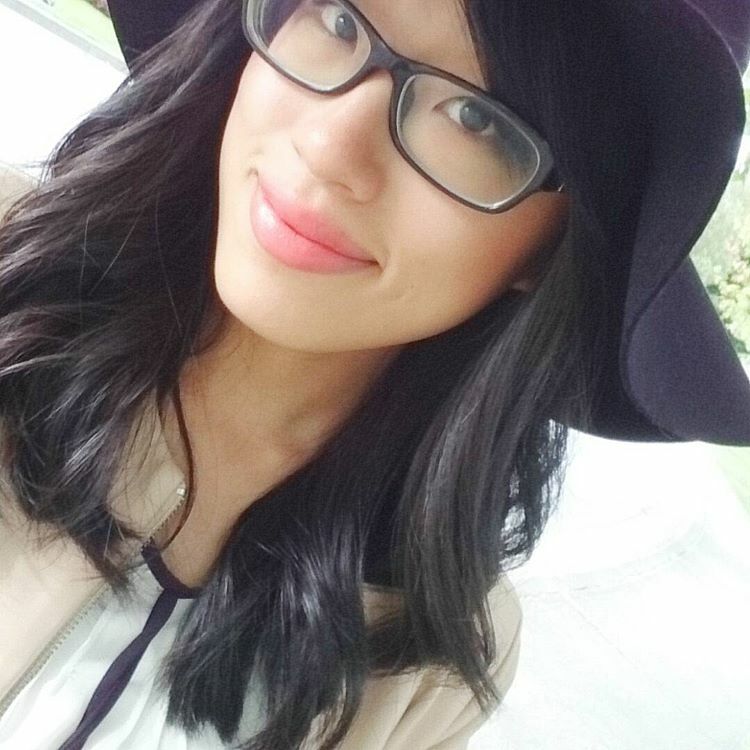 We finally got some warmth in Vancouver and a cold French Earl Grey Tea is so refreshing. My favourite was definitely the Wagyu beef slider. It uses beef bacon- which I never tried before, and you can really taste the level of quality in the Wagyu beef patty. It’s miniature and it’s cute, but also very messy to eat- which is the best way to eat a burger in my opinion. The Tourtiere is an old to Montreal and interestingly, it has a mix of beef and elk. It was delicious and not super game-y tasting. 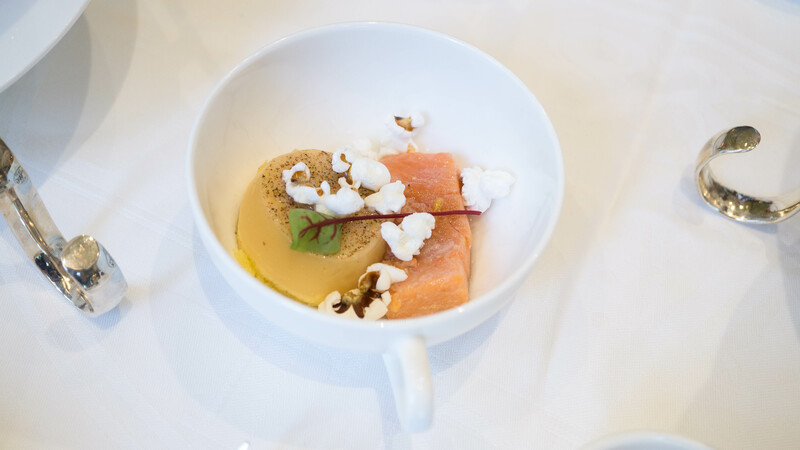 The other interesting savoury is the Salmon Confit with Lemon Bush Tea infused panna cotta. There’s heirloom popcorn for a bit of saltiness, and you eat all three items at the same time. Salmon and lemon goes together beautifully, and then you get a slight, salty crunch from the popcorn. 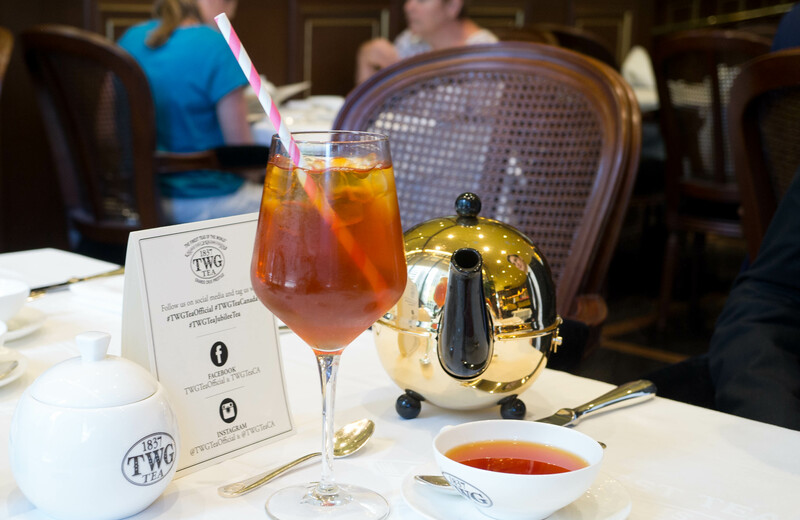 I can always trust TWG Tea to have a new eating experience every time they have a new seasonal tea service! 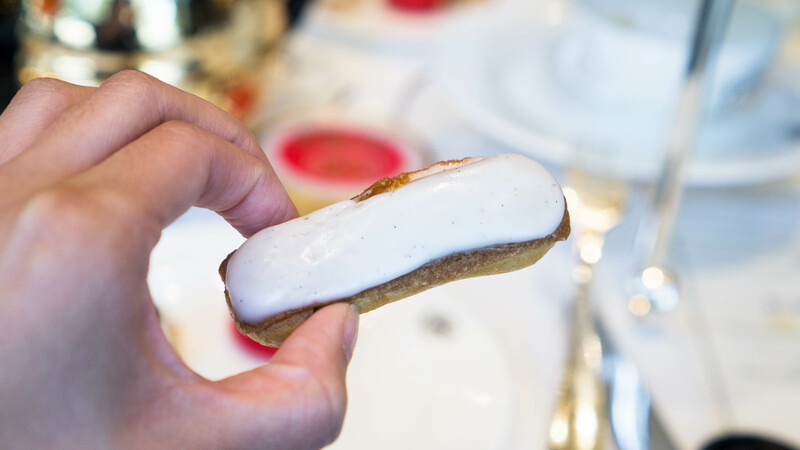 My personal favourite is the Petite maple eclair. It has a maple flavoured cream filling and it’s so dainty!! I could eat another ten of those. I never had a croque-en-bouche before. It’s known to be a French dessert with puff pastries piled on top of each other like a pyramid or a cone, and caramel helps them stick to each other. This was the sweetest of the bunch; caramel lovers would enjoy this a lot. After eating the sweetest desserts, I had the tartlet after to cleanse my palette with its tartness. To finish off the Jubilee Tea Set, I had the Red Balloon Tea macaron, which is also a rooibos tea infused macaron, and it really brought out the maple notes of the Jubilee Tea afterwards. 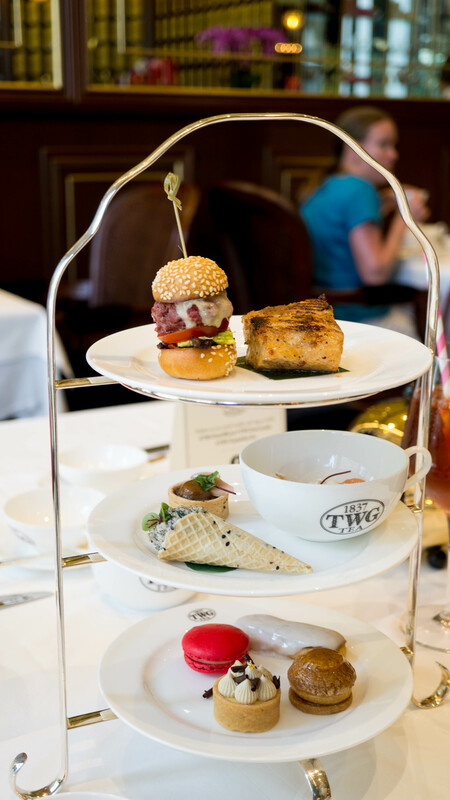 The Jubilee Tea Set is available at TWG Tea Canada until August 31st 2017. You can make reservations via phone or online. Opening Hours: Monday to Sunday, 10 am to 8 pm. If you’re Canadian, how are you celebrating Canada 150? Disclaimer: This meal is complimentary, however all opinions and content is 100% my own.